Home / Angler 119's Delaware River Fishing Report / Opening day 2018. 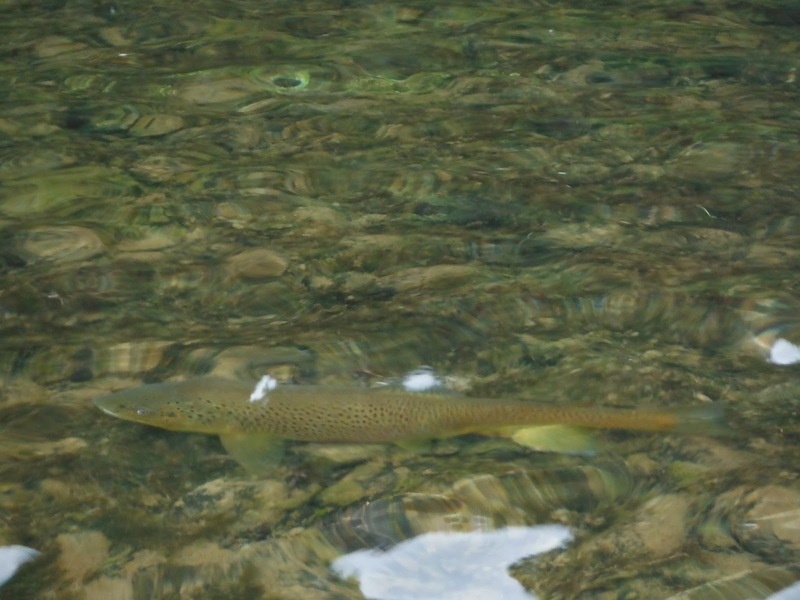 They say a picture's worth a thousand words - - - here's one of a big brown that'll be waiting for you whenever you make your first trip to the Delaware. As for myself? My bags are packed and early tomorrow I will be on a flight bound for Deadman's Cay, Long Island in the Bahamas for a week of bonefishing. It's rumored that the Troutfitter may be in the process of securing a week at the camp for next season. The camp is sold out every year and openings are as hard to come by as 50 yard line seats at the super bowl. Why? The camp isn't fancy. It just has the best guides in the Bahamas, lots of fish, no rough rides in the open ocean waters and is very reasonably priced. If you are interested, best get your name on the list at the troutfitter.. I expect to be opening the fishing camp sometime during the third week of the month and will commence Angler 119 reports shortly thereafter. Best of luck if you get on the river before I do.